Oldland Mill was built in 1703 and saw service for over two hundred years grinding wheat and grain for local communities. It was originally an open trestle mill, with the roundhouse being added later. The mill was marked on a map dated 1783 and was a focus for local celebrations during Queen Victoria’s Golden Jubilee in 1887. It was eventually abandoned in 1912 and, by the 1980s, it was in a sorry state. Only one pair of sweeps (the Sussex term for sails) remained, much of the cladding had either fallen off or was rotten, and the brick roundhouse was falling down. Inside, the Mill was largely complete. Its remote location had probably saved it from vandalism. The Sussex Archaeological Society acquired the mill in 1927 and repairs were carried out in 1934. In 1976 a talk was given on the work of Weald and Downland Open Air Museum. The question of how to preserve Oldland Mill was raised. The mill was then in the ownership of the Sussex Archaeological Society. The mill was surveyed in 1977 and found to be close to collapse. 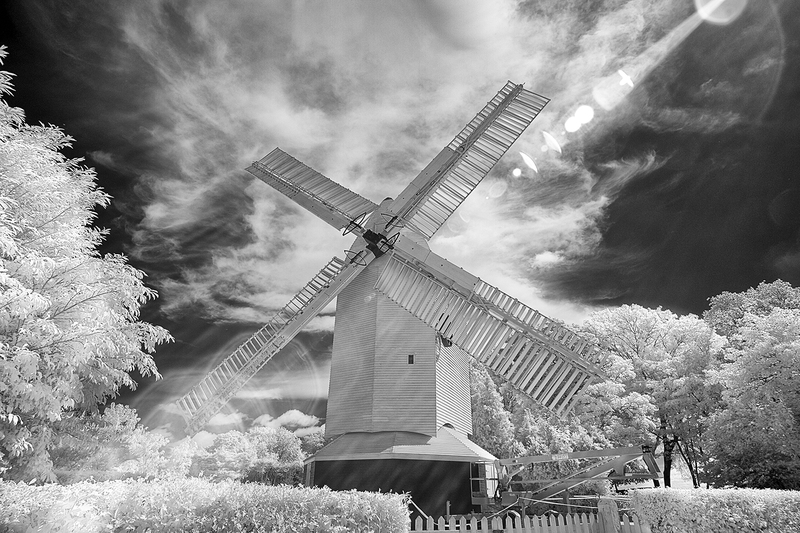 Following negotiations with the Sussex Archaeological Society in 1979 the Hassocks Amenity Association leased the mill in 1980 and began a period of volunteer-led restoration. Restoration began in 1980 but the first 15 years were spent stripping the mill to its bare bones. The main post and windshaft which hold the sweeps were left in place and the rest of the structure built around them, taking care to use as many of the original timbers as necessary. Construction of the new sweeps began in 2005. As with the rest of the Mill, these were built entirely by hand by skilled volunteers under the guidance of an experienced millwright. All four sweeps, each weighing about half a ton, were finished in 2007.